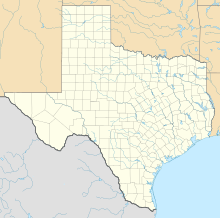 The Battle of Plum Creek was a clash between allied Tonkawa, militia and Rangers of the Republic of Texas and a huge Comanche war party under Chief Buffalo Hump, which took place near Lockhart, Texas, on August 12, 1840, following the Great Raid of 1840 as the Comanche war party returned to West Texas. Following the Council House Fight of 1840 a group of Comanches led by the Penateka Comanche War Chief Buffalo Hump, warriors from his own band plus allies from various other Comanche bands, raided from West Texas all the way to the coast and the sea. These Comanches were angered by the events of the Council House, in which Texans had killed Comanche Chiefs when the Texans had raised a white flag of truce. Main article Council House Fight. The Texan officials began the treaty talks with demands that the Comanche considered impossible. Including the Comanche return of all white captives. This included people such as Cynthia Parker. Other white captives were with bands of the Comanche not represented at the talks. As a show of "good faith" the Comanche chiefs brought in one captive, a severely mutilated adolescent girl named Matilda Lockhart. The Comanches had burned off her nose with hot coals. The Texans thought they were going against their word, because the Comanche chiefs did not return all of the white captives and figured they held back some of their white captives to guarantee their own safety. The Texas militiamen told the chiefs it was they that would indeed be held hostage to guarantee the release of their other white captives. The chiefs quickly realized their gross miscalculation. Everyone panicked and drew their weapons. The militia began firing and the Comanches were killed. The "battle" was really more of a running gun fight, as the Comanche War Party was trying to get back to the Llano Estacado with a huge herd of horses and mules they had stolen, a large number of firearms, and other plunder such as mirrors, liquor, and cloth. Volunteers from Gonzales under Mathew Caldwell and from Bastrop under Ed Burleson gathered to intercept the Comanches. Joined by Ranger companies and armed settlers hastily assembled as militia from central and east Texas, they confronted the Indians at Good's Crossing on Plum Creek, near the modern town of Lockhart (about 27 miles south of Austin). Texas history says the Texans won this battle, although the Indians got away with most of their plunder and a great many of the stolen horses and mules. "Several hundred head of horses and mules were recaptured, as were also immense quantities of dry goods." The Texans reported killing 80 Comanches (unusually heavy casualties for the Indians) in the fight, yet recovered only 12 Indian bodies. Apparently greed largely determined the battle's outcome. The Comanches would have never been caught had they not been herding such an enormous number of captured and heavily laden mules and horses. Similarly, the Texans discovered stolen bullion on some recaptured mules and subsequently most of them went home—without an organized pursuit of the Comanches. Thomas J. Pilgrim took part in the Battle of Plum Creek. ↑ 1.0 1.1 The Comanche Barrier to South Plains Settlement: A Century and a Half of Savage Resistance to the Advancing White Frontier</cite>. Arthur H. Clarke Co. 1933. ↑ The Comanches: Lords of the Southern Plains</cite>. Oklahoma Press. 1952. ↑ 3.0 3.1 The Comanches: Lords of the Southern Plains</cite>. University of Oklahoma Press. 1952.